We think lunch should be celebrated, that’s why we’ve created our fixed price daily menu this Summer. 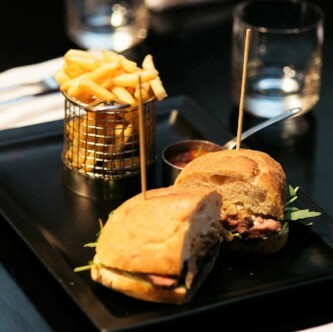 Choose from a range of dishes including Calamari; Hummus (v): beetroot, avocado, pumpkin seed & sourdough, Steak Sandwich: rocket, tomato, pepper mayo & skinny fries and others. A treat would be to complete your meal with Sticky Toffee Pudding of ice cream & sorbets, there’s something for everyone! Enjoy a two courses lunch for £12.95 or three courses for £15.00 served Monday – Friday between 12-3pm and early evening dinner 5-6pm.